The kids are possibly, fingers crossed, spending a Wednesday-Sunday in August with their dad once he confirms it so the Mr and I are going abroad for 5 nights! It will be the first time abroad without the children but the thought of relaxation, sunshine and cocktails sounds amazing and I really can't wait. We just need to pick somewhere to jet off to... suggestions welcome! The Mini Mes finish school tomorrow and I finish work for 6 weeks *yay*. They have a fun day at school today with bouncy castles, face painting, jugglers and performers and a picnic lunch with ice cream too. Tomorrow is mufti and toy day - what a lovely way to finish the academic year. I enjoyed a delicious meal out with the Mr and my mum last night at The Harvester. I have only ever been there once before and I had forgotten how good it is. Unlimited fresh salad and then a juicy 8oz rump steak followed by a cookie sundae. It was a lovely treat after my recent effort to lose weight. I hope you will enjoy your holiday but bet you will miss the children. Oh fantastic how lovely for you, enjoy! I went to Puerto del Carmen in Lanzarote in May and stayed in La Penita (booked though a site called Holiday Nights) and I absolutely loved it. Clean accommodation, beautiful weather, right on the beach, great pool... perfect! Oh enjoy your 6 weeks off - yyyeeeaaah! I am off since 5th July but due to redundancy. And am going to Ireland in August again, for a big wedding. RE: things to do for kids, I always go where my relatives are, so don't have a tourist view of Ireland but it is WONDERFUL. RE: the Lemonade Diet, Google the Master Cleanse and if you have a Kindle download it; it's fab. Oh my goodness, you have just made me very hungry with that photo of a cookie sundae. Mmmmm. 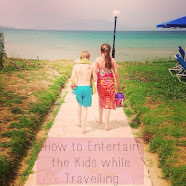 As much as we love our children it's great to have that time away from them isn't it? Enjoy your break when you get it! I would love one of those sundaes right about now!